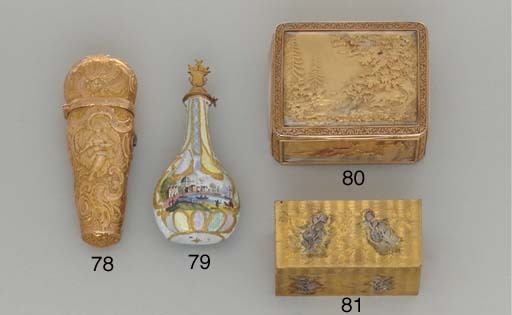 Plaques by Kirstein are illustrated C. Truman, The Gilbert Collection of Gold Boxes - Volume Two, 1999, pp. 76-77, no. 47, and H./S. Berry-Hill, Antique Gold Boxes, 1953, p. 148, fig. 132.